On occasion of National Beer Lovers Day, we have decided to take a brief stroll through the fascinating history lane of beer. A nifty short video concocted by Project Happening presents the history of one of the world’s oldest beverages in just under five minutes. Credit: Trustees of the British Museum. …he ate until he was full, drank seven pitchers of beer, his heart grew light, his face glowed and he sang out with joy. Funerary stele from Amarna, circa 1350 BC. Beer possibly formed a part of the daily diet of the Pharaoh, while Tjenenet was the official ancient Egyptian goddess of beer. But beyond royal consumption and mythology, beer was possibly also a part of the economic system of ancient Egypt. How so? Well administrators often paid Egyptian workers in beer and bread ‘currency’ for their services. For example, circa 25th century BC, around a total of 4-5 liters of beer were assigned daily to the laborers working on the Great Pyramid of Giza (Khufu’s Pyramid). Now it should be noted that these rations probably constituted the lowest wages. 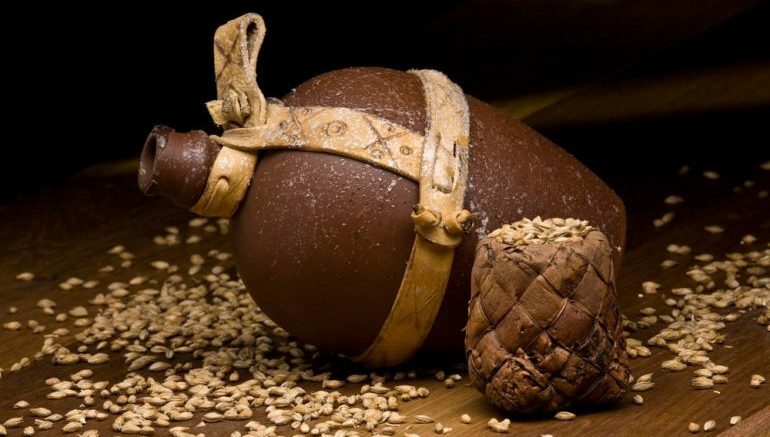 And in practical way that made sense, since in contrast to the more alcoholic varieties of modern beer, Egyptian beer (along with other ancient varieties) tended to be nutritious, thick and even sweet. Simply put, these concoctions were more akin to a starchy gruel (or porridge) that was the basis for an alternate meal for workers, as opposed to just an inebriating drink. An analysis of bones of ancient Nubian people made in 2010 revealed the presence of tetracycline, an antibiotic that is also used in our modern times for treating bacterial infections. The bones specimens were nearly 2,000 years old (of people who lived in the Nubian kingdom circa 350 AD), and thus the study yet again hinted at how antibiotics was (possibly) familiar to ancient populations before the discovery of penicillin by Alexander Fleming in 1928. 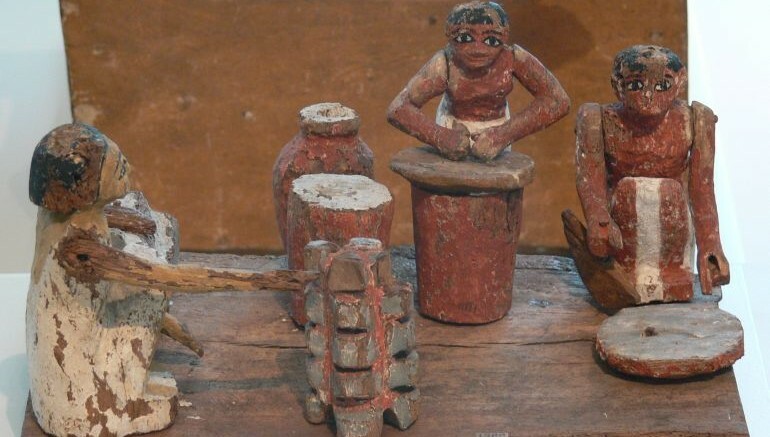 And the interesting part is – the Nubians probably took in tetracycline through their special beer concoctions that were more akin to sour porridge. Now according to the researchers, there is strong evidence that the Nubians exactly knew that their beer concoctions made from grain were laced with tetracycline. Now in historical terms, the first batch of the Nubian beer was possibly contaminated by streptomyces, a soil bacteria that produces tetracycline and also thrives in arid conditions such as Nubia (the land encompassing present-day northern Sudan and southern Egypt). But the Nubians over time must have noticed how the ‘accidental’ tetracycline antibiotic cured them of various bacterial ailments. So they devised their ingenious ways to propagate and brew this particular variety of beer and consumed them as a part of their diet. Furthermore, it should be noted that that streptomyces can produce a golden-colored bacterial colony on the top of the beer, and this particular hue might have enticed the Nubians to consume more of this special ‘antibiotic’ beer – since gold was venerated by many ancient cultures. Davide Zori, the field director for the Mosfell Archaeological Project, has shed new light into the intrinsic relationship between a Viking chieftain and consumed alcohol. His study points to a perspective that the Icelandic Vikings took part in those grand beer-and-beef feasts not just because of their propensity to drink, but also to cement their political footing in captured lands and colonies. In essence, the alcohol-fueled feasts were intended part of a political economy in which the chieftains took part to further their image of being the dominating ‘big man’ of the Scandinavian society. In other words, these grandiose affairs demonstrated the political power of the said patron to both his allies and opponents. 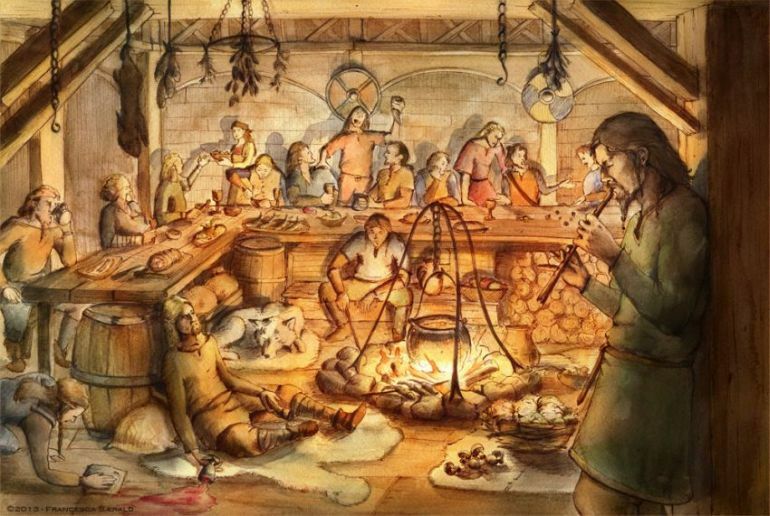 Moreover, the investigation further suggests that loss of beer-making capacity negatively affected the warlord’s influence, and as such the names of many such chieftains gradually disappeared from the Viking sagas.